The loveable birds of Hatoful Boyfriend are back! 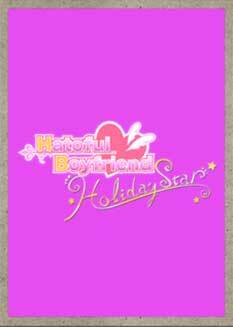 ​The loveable birds of Hatoful Boyfriend are back in the remastered holiday-themed sequel Hatoful Boyfriend: Holiday Star! Travel to fantastically styled worlds, meet interesting new chickadees, and find romance in the elegantly designed winter wonderlands. Dust the snow off your wings and take flight with familiar faces and new friends alike in extraordinary adventures hatched from the whimsical mind of the series creator Hato Moa and developer Mediatonic!